In 1885, a young Austrian travelled to France to study with Jean-Martin Charcot, Europe’s premier neurologist and hypnotist. The young man thought that hypnosis might hold the cure for mental illness. A year later, and just married, he opened a medical practice specializing in neurology (disorders of the nervous system) and the use of hypnosis. Psychotherapy — you come to a psychotherapist because there’s something wrong with you—you are broken. Your therapist (or you and your therapist) will fix the problem. One of the most popular styles of psychotherapy is not strictly Freudian. Known as CBT or Cognitive Behavioural Therapy, it seeks to get practical and effective changes more quickly. Often, once a patient is diagnosed, a psychotherapist will use a book known as the DSM-IV to determine how long it should take to cure the patient. I refer to this as “process-centred” therapy. People are considered machines in this discipline, and the same repair is assumed to fix all similar machines in the same length of time. Generally, that’s all insurance will cover. 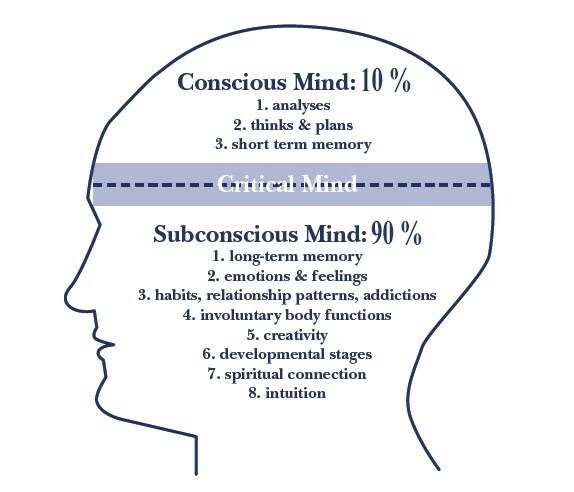 Psychotherapy uses the conscious mind to eventually access the unconscious, and hopefully release problems. Hypnotherapy — in hypnotherapy, it’s understood that you are not broken. You’re doing the best you can with the knowledge, training and experience you have. Because you are not broken, a hypnotherapist neither fixes nor cures you. He or she simply gives you new knowledge and training so that together you can change unwanted behaviours and eliminate unwanted beliefs. Hypnotherapy bypasses the conscious mind and works directly with the unconscious, the location of the unwanted behaviour or belief. In hypnotherapy, each person is considered an individual, and treatment is unique to that person. I refer to this as “client-centred” therapy. Hypnotists will often train in numerous approaches to be able to provide a client with exactly the work that is needed. Both psychotherapy and hypnotherapy have many uses. They’re great for overcoming fears and problems that keep you from being social and succeeding in life. Some physical problems have mental causes, and they can be treated with hypnotherapy or psychotherapy. Hypnotherapy tends to succeed more quickly, and is less expensive, but often isn’t covered by medical insurance. In the U.S. and S.A. psychotherapists are licensed by states, while hypnotherapists are certified by self-governing organizations. Unfortunately, the quality of both psychotherapists and hypnotherapists varies widely, and if you choose to use one or another, you should ask for references. Next Next post: We Jump The World – 2018 – Cape Town, S.A. with E.S.C.A.P.E.